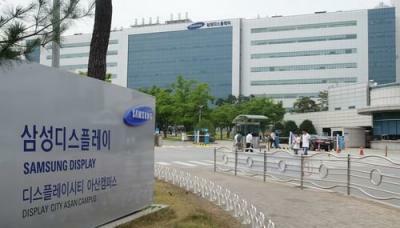 According to reports from Korea, Samsung Display is reconsidering its planned investment in its A5 flexible OLED production line, due to "growing uncertainties in the smartphone market". Samsung reportedly suspended its equipment orders and its plans to construct the A5 building. There are several worrying signals in the smartphone industry. Apple is reportedly facing lower than expected demand for its iPhone X (and may halt new OLED orders for its flagship phone in 2018). Smartphone shipments in China decreased 3.1% in Q3 2017 and it is estimated that Q4 have been lower than expected as well. All of this is not news. In December 2017 we reported that Samsung's A3 and A4 fabs (the A4 should be ready by Q2 2018) will have enough capacity to satisfy demand from Apple's and Samsung Electronics' smartphones in 2018. The A3 and A4 combined have 11 production lines, each with a capacity of 15,000 monthly 5.5-Gen substrates - or enough to make almost 400 million OLED panels per year. At first Samsung intended the A5 fab to be its largest OLED production complex - with a capacity of something between 180,000 and 270,000 monthly 6-Gen substrates. In October 2017 Samsung decided to lower this capacity to 30,000 to 60,000 substrates. Now it seems that SDC is not even sure whether it wants to go ahead with the A5 fab at all. One of the reasons quoted back than is that SDC is not seeing real competition from other OLED makers (including LGD and producers in China and Japan) and they want to keep flexible OLED panels costs high for profitability - they do not want to flood the market and create an over-supply situation. It may also be that Samsung is fearing the competition from LGD and others and is so not sure about its own customer demand in the future.